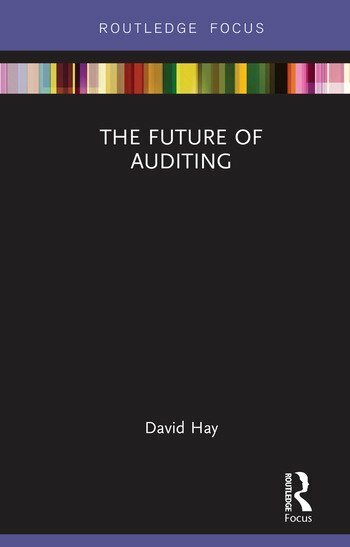 The Future of Auditing provides a concise overview of the function of auditing and the future challenges it faces, underpinned with suggestions for future research. It evaluates the key challenges facing the profession, such as quality, independence and governance as well as highlighting the under-explored areas of ethics, fraud and competition. The emphasis throughout is on the value of audit, and the importance of auditing research. Providing an original assessment of global versus national auditing, evidence-based auditing standards　and the structure of professional firms, David Hay critically examines the value of auditing from different　standpoints. He critically reviews current assumptions about the value of audits of financial statements and explores research opportunities and priorities to improve understanding of the value of auditing and its future role and function. This authoritative but accessible guide to the future of auditing and the challenges it faces will be useful not only to auditing researchers but also to policy makers, standard setters, financial journalists and auditing professionals seeking an accessible overview of current and future issues in auditing. Acknowledgements. 1: Overview: The future of auditing. 2: The value of auditing. 3: The future of auditing. 4: Opportunities for auditing research. David Hay is the Professor of Auditing at the University of Auckland, New Zealand. He has a substantial role in auditing research at two leading auditing journals as an Editor of Auditing: A Journal of Practice and Theory (until 31 May 2017) and as the Editor-in-Chief of the International Journal of Auditing. He has also served as guest editor for the International Journal of Accounting and is an editorial board member of many other accounting and auditing research journals. David’s research interests include auditing issues internationally and in New Zealand, including auditor independence, corporate governance and privacy auditing. David won the 2017 "Notable Contribution to the Auditing Literature Award" presented by the Auditing Section of the American Accounting Association, with his co-authors.